Since 2013 really is over, I decided to go ahead an fill in the End of Year Book Survey hosted by Jamie at The Perpetual Pageturner. I'm kind of OCD about best of posts and the like and don't want to fill those in in December, because who knows if I read that One Special Book on December 31st and am unable to put it on the list? Zeh horror! I did a post on my best books of 2013, which included Eleanor & Park by Rainbow Rowell (best contemporary), Shadow and Bone by Leigh Bardugo (best fantasy), All Our Yesterdays by Cristin Terrill (best sci-fi), A Game of Thrones by George R.R. Martin (best adult fiction) and Meant to Be by Lauren Morrill(best fluffy read). Also an honourable mention for More Than This by Patrick Ness, for being the best WTF-ery book of 2013. We'll Always Have Summer by Jenny Han, the final book in the Summer Series. I loved the first two books, but this one sucked donkeyballs. The book lacked the magic of its prequels, and to top it all off, all three main characters seemed to have had personality transplants (and not in a good way). Needless to say, the Summer Series is not among my favourite series anymore. All Our Yesterdays by Cristin Terrill really blew me away. It was fan-frigging-tastic and made me go all fangirly. Love. Probably Eleanor & Park by Rainbow Rowell. My love for this book knows no boundaries. The Grisha series by Leigh Bardugo. I've read Shadow and Bone last year and it was amazing, so I went right ahead and ordered Siege and Storm even though I wasn't supposed to buy any books. I regret nothing. I've read so many books from new to me authors! Leigh Bardugo, Rainbow Rowell, Samantha Shannon, Emily Murdoch, Kasie West, Cristin Terrill, George R.R. Martin..
Not necessarily out of my comfort zone, just something I didn't read often: fantasy. Like high fantasy, and not the urban fantasy I'm used to. There were so many books I loved this year that fit into that category. My favourite is probably Shadow and Bone or Graceling. Definitely All Our Yesterdays by Cristin Terrill. Though I also read Shadow and Bone in one sitting, so I'd say that's a close second. Um.. I don't really reread books all that often anymore. There are just so many new to me books out there that look awesome so I really want to read those first.. But if I had to pick one, I'd say probably Meant to Be by Lauren Morrill. I listened to that one on audio and it was adorable. I'm planning to pick up a physical copy as well, that's how much I liked it. This is a really hard one. I'm thinking either Warden from The Bone Season, The Darkling from Shadow and Bone or Park from Eleanor & Park. Eleanor & Park by Rainbow Rowell. These answers are starting to sound repetitive, I apologise. No actually, I do not. I regret nothing. 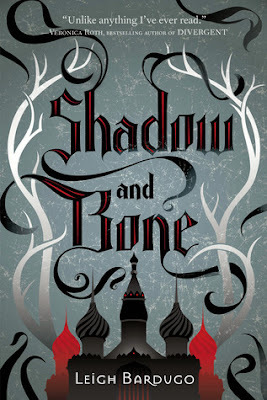 Either Shadow and Bone by Leigh Bardugo, A Game of Thrones by George R.R. Martin or Graceling by Kristin Cashore. I spot a trend. As soon as he touched her, he wondered how he’d gone this long without doing it. He rubbed his thumb through her palm and up her fingers, and was aware of her every breath." I don't think I had that moment? xD Maybe the entire We'll Always Have Summer book, since that book had me so frustrated, I wanted to bang my head against the wall. 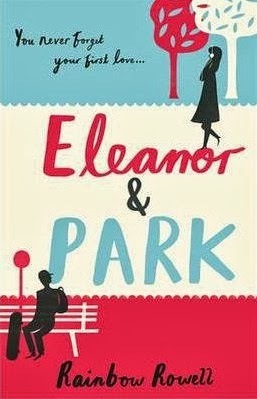 Eleanor and Park in (surprise!) Eleanor & Park. Julia and Jason in Meant to Be. Page and Warden from The Bone Season. Em and Finn in All Our Yesterdays. The Night Itself by Zoë Marriott and A Midsummer's Nightmare by Kody Keplinger. Um how about almost all the books I read? *snort* I am in the company of some of the best bookpushers of the blogosphere so almost all of my favourites were 'receommended' by bookish friends. My favourites of those are All Our Yesterdays by Cristin Terrill, Shadow and Bone by Leigh Bardugo, Pivot Point by Kasie West and A Midsummer's Nightmare by Kody Keplinger. Either contemporary or fantasy (though I think the latter wins). SO MANY! Warden, the Darkling, Finn, Trevor..
Why are these questions so impossible to answer with just one book? I'm going to go with Pivot Point by Kasie West. Or The Bone Season by Samantha Shannon. Or Meant to Be by Lauren Morrill. Or maybe All Our Yesterdays by Cristin Terrill. HOW AM I SUPPOSED TO PICK JUST ONE?! The Bone Season by Samantha Shannon and also More Than This by Patrick Ness. Percy Jackson and the Olympians by Rick Riordan, though I must admit that I listened to those in 2013 and didn't actually read them, but whatevs. 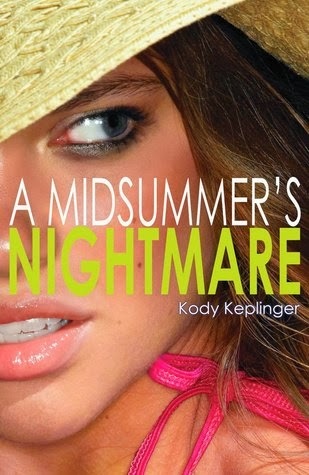 A Midsummer's Nightmare by Kody Keplinger. BAWLING. 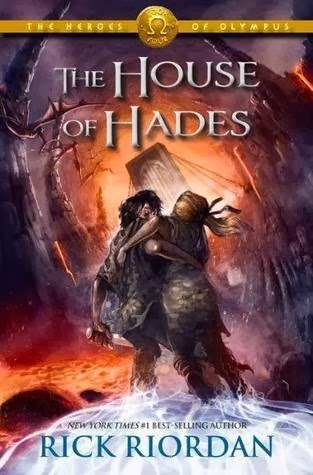 The last installment of the Heroes of Olympus series, even though I haven't even read House of Hades yet. Also Split Second by Kasie West, All Our Yesterdays #2 by Cristin Terrill, Evertrue by Brodi Ashton, The Bone Season #2 by Samantha Shannon, Being Sloane Jacobs by Lauren Morrill, all of Morgan Matson's new books, White Space by Ilsa J. Bick, The Winner's Curse by Marie Rutkoski, Oblivion by Kelly Creagh and Shattered by Teri Terry. I'm pretty sure I forgot some. The Murder Complex by Lindsay Cummings, Faking Normali by Courtney C. Stevens, Open Road Summer by Emery Lord, Red Rising by Pierce Brown and Learning Not to Drown by Anna Shinoda. Heroes of Olympus by Rick Riordan, Slated by Teri Terry, Everneath by Brodi Ashton and Nevermore by Kelly Creagh. Make this blog more of a personal outlet. This doesn't mean that I'm starting Dear Diary posts, it just means I don't want my posts to be, well, generic. My posts feel a bit void of emotion, or me, or something. I just want to make them stand out a bit more and do some other stuff besides reviews and some meme-like posts. It's something I struggle with, so it'll be a learning curve :) All these CAPSLOCK tweets and comments are part of that. I used to be afraid to be outspoken, whether my thoughts were positive or negative, but I've decided not to worry about that anymore. This means rants and FLAILING and gushing and incoherent posts. Sorrynotsorry. I basically love all of this and also we are soulmates and yes yes yes to your favorite relationships and yayyyy for crying to A Midsummer's Nightmare and PIVOT POINT for the win and All Our Yesterdays because all of the feels and Meant to Be because fluffy perfection and Wardennnnnnnnnnn and basically YES just YES.